I am fortunate enough to receive a handful of invitations each year to speak at various gatherings, conferences, and trade shows. I take these opportunities seriously and understand that I have a responsibility to the event organizers as well as an obligation to the audience. 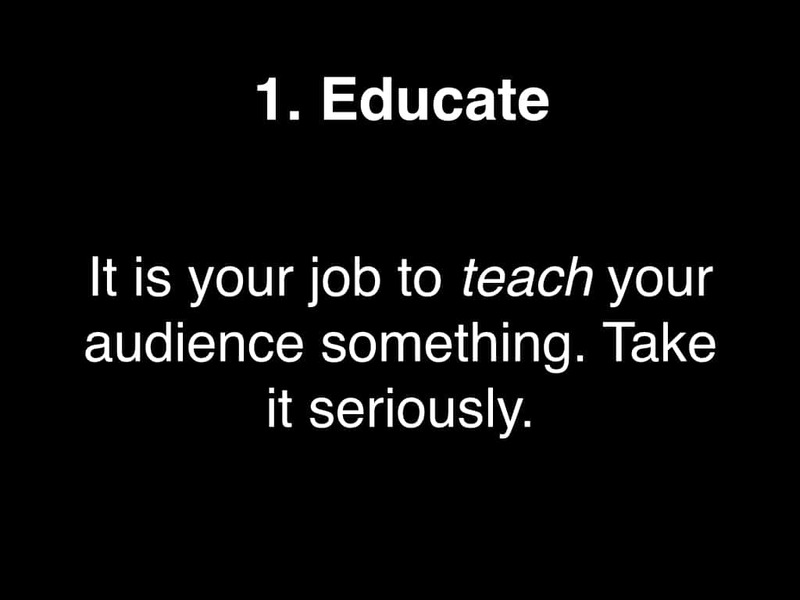 My goals when speaking are 1) to educate, and 2) to entertain. Over time and with practice, I have gotten better at both and truly look forward to these engagements when they arise. When I attend these events I always try to watch a few of the other presentations to see what I can learn for myself, and to pick up some ideas from other speakers about how they go about engaging and entertaining the crowd. However, on virtually occasion I am uniformly disappointed. The speakers are boring, the material uninteresting, the presentation lackluster. 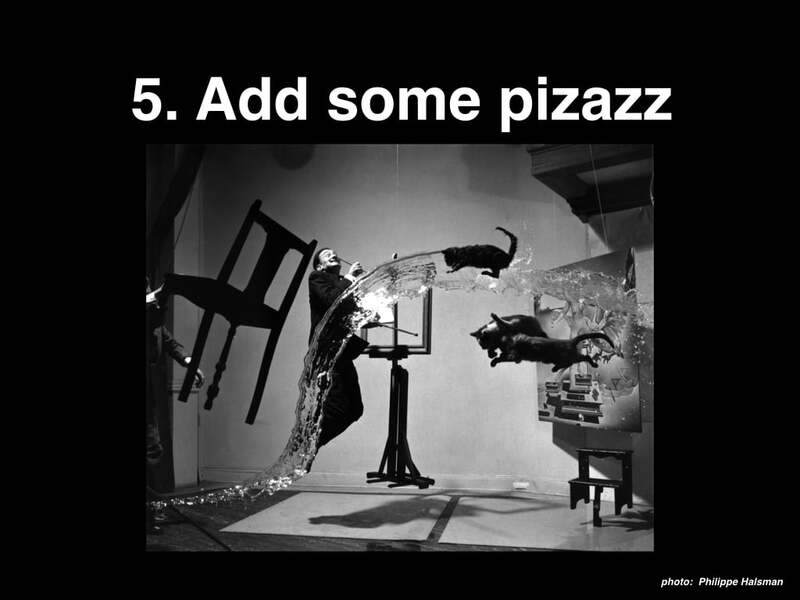 I sit there in the audience as the bullet points and charts wash over me, fighting sleep and wondering if these speakers have ever heard the word pizazz. 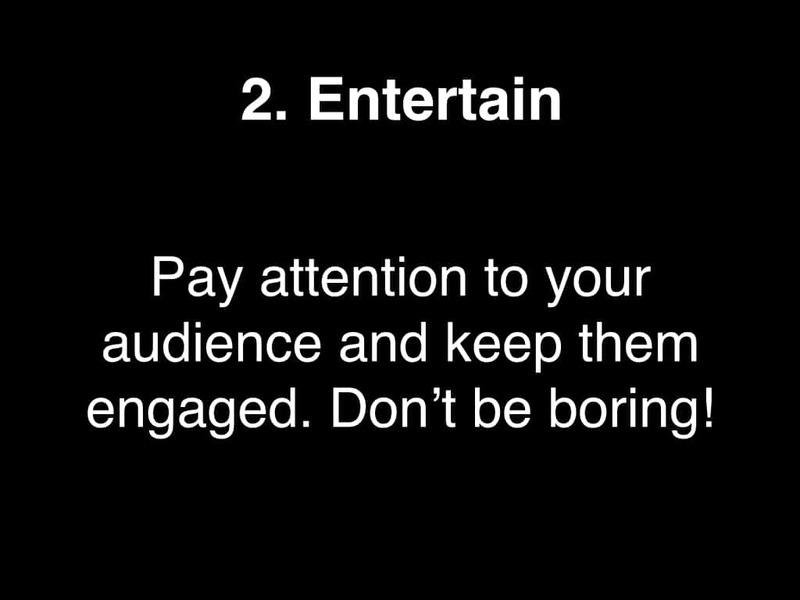 Engaging audiences is not easy. The first step is in taking some time to understand them. Who are they and why are they here in the first place? What are they hoping to learn? With these answers in hands, it is best to think abut what NOT to do, and it’s pretty simple, really. Don’t be boring. 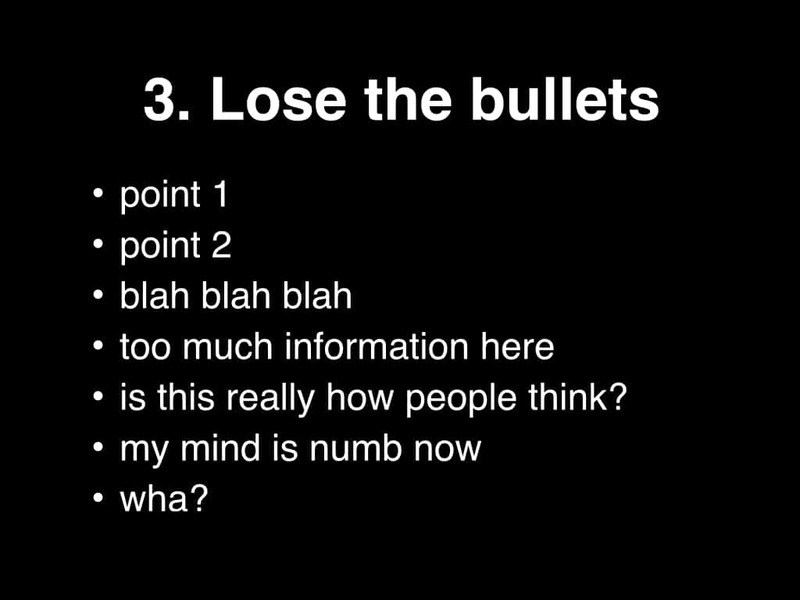 Don’t lull them to sleep with endless bullet points. Don’t clog their brains with dense and complicated charts. Don’t drone on and on about the facts and figures that you might be interested in, but that they find irrelevant. People like stories. If your presentation can tell a story, and if your story is accompanied by rich, clean visuals you will draw your audience in and open them to whatever it is you are trying to teach. For instance, if your goal is to teach them about a new method for teaching a foreign language, tell the story about how one person was able to do this effectively and how it changed her life. Give your audience a hook, something that they can easily get their minds around and something that relates to their own lives and it will allow you to deliver the information in a way that will be easy to absorb and will keep them entertained and engaged. So about those rich, clean visuals? The trick is to keep them simple and uncluttered. Choose a background that will not distract, use a large font, avoid cluttered headers and footers, and use your voice to deliver the information with the slide supporting what you are saying. In other words, the more information you deliver orally and the less you deliver visually, the more successful you will be. 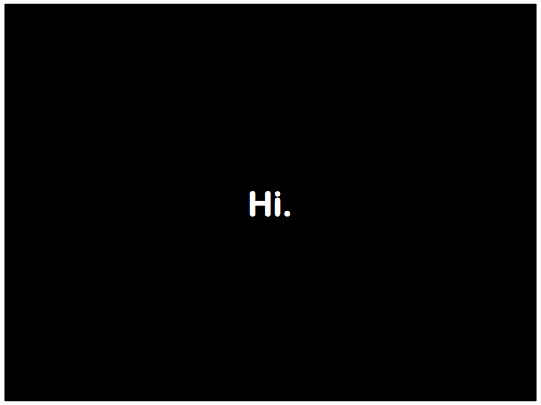 Lastly, never, ever stand there and read the slides to the audience. 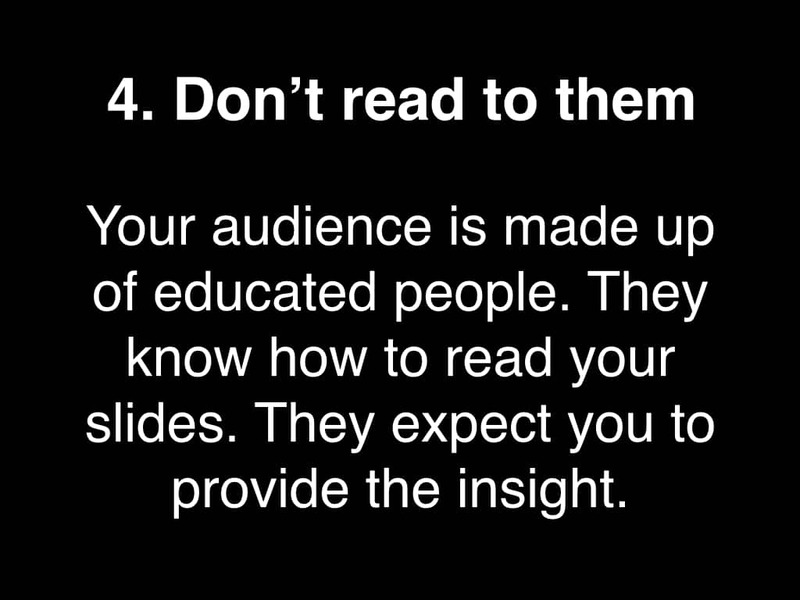 Remember, most of them can read for themselves – they’re looking to you to teach them what they re there to learn; your slides are there to supplement your words and not vise-versa.